Advanced heart failure patients in western North Carolina now have local access to an implant procedure that can dramatically improve quality of life and add years to a patient’s life. Mission Heart surgeons completed the first left ventricular assist device (LVAD) implant on a patient in western North Carolina on Sept. 2 at Mission Hospital in Asheville. 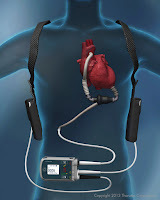 The LVAD is a surgically implanted, continuously flowing pump that is placed in patients with late-stage congestive heart failure that have severe symptoms despite medical therapy. The pump assists a weakened heart by providing adequate blood flow to the body. The device is implanted in the upper abdomen and connected to the heart. 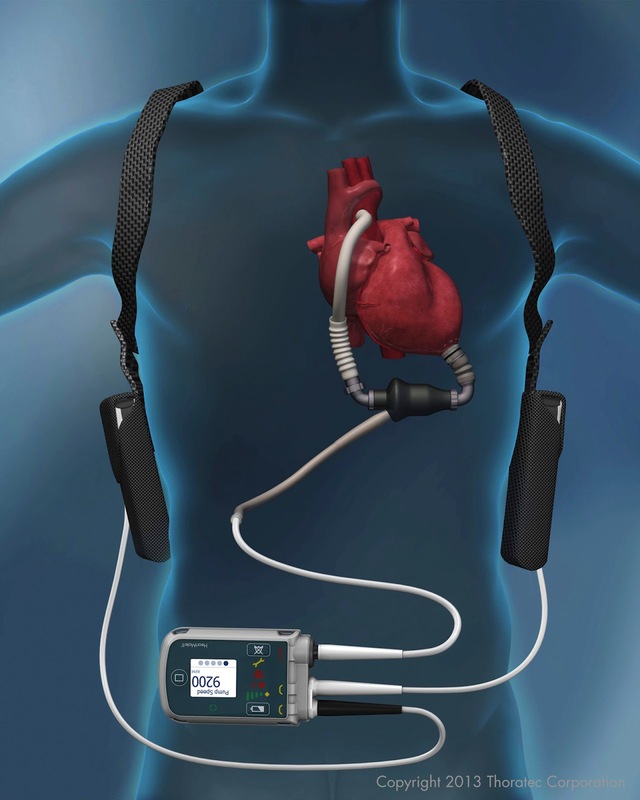 The LVAD is powered externally by either AC power or wearable batteries. These pumps, when placed in eligible patients, have the potential to dramatically improve daily quality of life and patient survival. They can be used in patients as a “bridge” to an eventual heart transplant or as a “destination” therapy for patients who are not eligible for a transplant. The modern LVAD pumps, like the one used at Mission Heart, can last 10-12 years before replacement, giving patients added years of quality life with their family and friends. Such is the case with James Hemphill, 67, of Forest City, who received the first LVAD implant at Mission Heart. Hemphill, a Vietnam veteran, underwent heart bypass surgery in 1998, and had additional heart procedures in 2012. The father of two and husband of 45 years remained active—playing golf regularly with the stamina to walk the course and the skill to beat players half his age. That all changed in August when Hemphill visited his doctors at Mission Heart. He could no longer play his beloved sport. He had significant fatigue and shortness of breath—he could barely summon the energy to leave the house. After several visits and comprehensive testing at Mission Heart, a multidisciplinary team of Mission doctors and advanced caregivers felt Hemphill would be an excellent candidate for an LVAD implant. As a veteran, the nearest Veteran’s Administration hospital where he could receive an LVAD implant was hours away from his western North Carolina home. Doctors and administrators at Mission Heart worked with their counterparts at the Charles George VA Medical Center in Asheville to obtain permission for Hemphill to undergo LVAD implant surgery at Mission Hospital. The surgery went well and Hemphill left the hospital after 16 days. 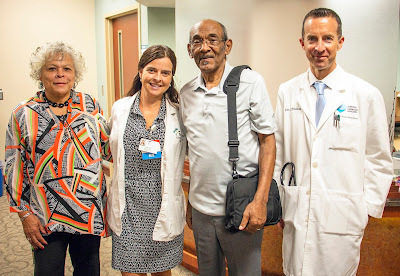 During his stay, he was cared for by a team of cardiovascular surgeons, cardiologists, nurse practitioners, nurses, therapists and case managers. He and his wife, Charlene, received hours of LVAD education at Mission Heart before and after the surgery—they even had to pass a test to ensure that they understood how to charge and use the LVAD before Hemphill could be discharged from the hospital. Bringing the LVAD procedure to Mission Heart is a “significant advance in providing quality healthcare to our community and takes a team-based approach to patient care,” said cardiologist Benjamin Trichon, MD, who heads Mission’s Advanced Heart Failure Clinic, and cared for Hemphill throughout his surgery preparation and recovery. Mission Heart was recently named one of the nation’s Top 50 Cardiovascular Hospitals by Truven Health Analytics, a leading authority on clinical quality. This marks the tenth time that Mission has been named a Top 50 Cardiovascular Hospital by Truven Health Analytics. Just five hospitals in the United States have been named to the Top 50 Cardiovascular Hospital list more times than Mission Heart. Mission Heart also recently earned the American College of Cardiology’s NCDR ACTION Registry–GWTG Platinum Performance Achievement Award for 2015. The national award recognized Mission Heart’s commitment and success in implementing a higher standard of care for heart attack patients. To learn more about Mission Heart, visit www.mission-health.org/heart-care.php.